Looking for Pirate Invitations? Whether it is a birthday party or some other event, these printable invites are free (and easy!) to print. There's treasure in these here invites, me hearties. 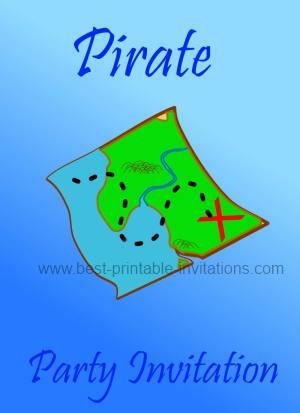 Scroll down to take a look at my treasure map based printables. Print a map for your guests on the back of your invite, and use a big red cross to mark the spot. For extra kudos, deliver the invites rolled up inside a see through bottle! 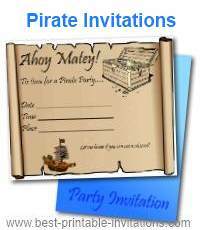 This treasure based invitation is just perfect for pirate parties. Choose your page size below and print out for free. This foldable invite gives you lots of space to enter all the details your guests need. Fun map design. This type of themed party can be really fun to organize, and you can get creative with costumes and decorations without spending too much money. A Pirate hat, for example, is easy to fold from paper (try this site for instructions). An old cooler box can be converted into a treasure chest. And 'Pirate Booty Bags' can be handed out at the end of the day. Want to see more invites? 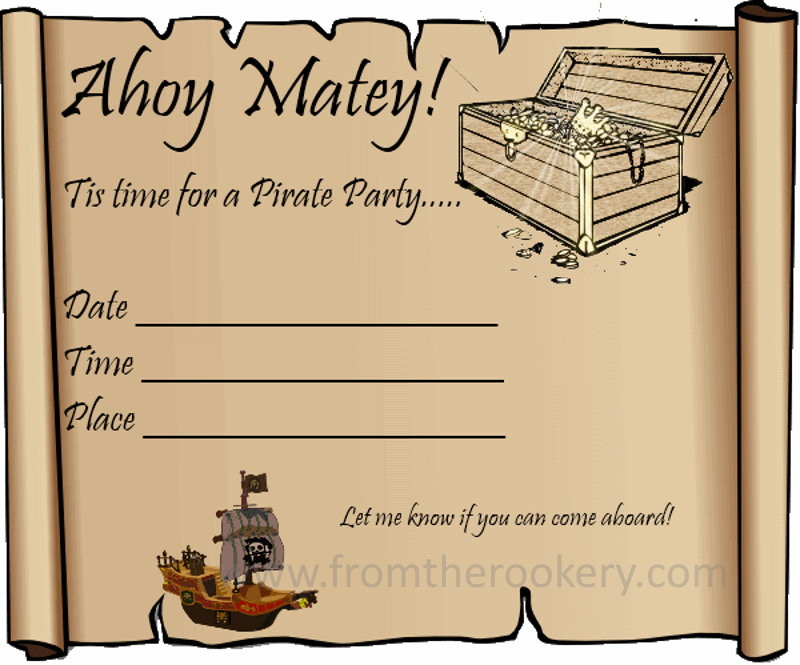 I have more free printable Pirate Party Invitations to print.